Cash for Cars Parramatta is a part of Cash Car Removal Sydney group servicing for 15 years removing scrap and unwanted cars, we offer you the chance to sell your car, instantly for cash! Not only that, we will value your car while you wait, and offer you the best deal possible then and there. We deal in all kinds of vehicles, including Vans, Ute’s, and Cars, 4WDs, trucks and more. We are a trustworthy team who specialise in Cash for Cars, Scrap, Accident, Unwanted Cars, Trucks, Ute’s, Vans and 4WDs. We are prompt and make sure to arrive on time for the pick-up of your car and we try not to delay as we know that our customers’ needs are our top priority. We will make sure that your vehicle is properly disposed of and in an environmental friendly manner. 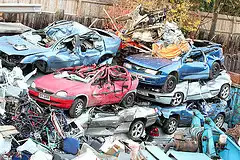 There can be a number of reasons why you want to scrap your car for cash, either because it is damaged, old, unwanted, accident, wrecked or junk and you want to get rid of it as it has been sitting in the garage and occupying space, and getting rid of an old car is always good for the environment. Whatever the reason for selling your car we can help, whether you are looking to sell your car because you no longer have a need for it, it has been involved in an accident; it has come to the end of its life. At Cash for Cars Parramatta, we will try and offer the best possible cash price for your vehicle based upon the condition of your car. This will be carried out by our professional who will come to you and make you a genuine on the spot offer based upon the outcome. We deal with all makes, models and age including everything from Cars, Vans, Trucks, Ute’s, 4WDs we buy them all. Our service offers you a great way of instantly accessing the equity in your vehicle without the hassle of traditional methods. We are the quickest and easiest way to sell your car in Parramatta so bring your vehicle down to us today and turn that car into cash, At Cash for Cars Parramatta. Fast cash. No Waiting to Get Your Vehicle Picked Up. Get up to $9999 today. Give Cash for Cars Parramatta a call. We’ll make you an offer and collect your vehicle today. There’s no waiting to get your vehicle sold when the call is to Cash for Cars Parramatta. We are the Car Removals company in town that buys any make, model, age and condition of a vehicle without hesitation. We come to your location, anywhere in Parramatta to inspect, buy and remove the vehicle. Before the transaction is over, you have up to $9999 cash in your hands. We are in the business of buying vehicles, and love what we do- making offers on Ford autos, Toyota, Subaru, Audi, Nissan, Suzuki, and all other brands. Offers that are good cash reaching up to $9999. And, not making vehicle owners wait for that cash. We leave it in their hands before we have their auto loaded for removal. Scrap autos, used autos- whatever the condition of the auto, Cash for Cars Parramatta will come to your location as a courtesy regardless of where you are located in Parramatta. We work to take all the strain away from all vehicle owners loading and removing their autos at no cost. Get a free Car Removal anywhere in Parramatta at any hour. Give us a call today. Our standards are Green Car Recycling Standards. Green that keeps the environment green and puts the most cash in your hands for having Cash for Cars recycle your auto. Our auto wreckers have the skills and all the necessary equipment to scrap your vehicle to get the most out of its metals and steel, as well as interior components. When you have Cash for Cars Parramatta recycle your vehicle, you have a vehicle recycle that puts nearly 100 percent of your auto back on the shelves in new recycle products. You get a free car removal. Regardless of where your vehicle is at, regardless of whether it is running or not, we come to your location anywhere in Parramatta to remove the auto for free. We are the Car Removal Company in Parramatta that is worth giving a call for a quote. We’ll make you an offer up to $9999 cash. Give us a call 0477 962 919, Complete our “Get a Quote” form. Any make, any model, any age, any condition – get an offer up to $9999 cash! © 2019 Cash for Cars Parramatta. All rights reserved.